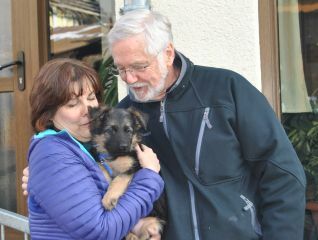 for the time to be back and pick up this cute little girl named "Zala"
Zakia had to fly for many hours before she arrived at her new home. 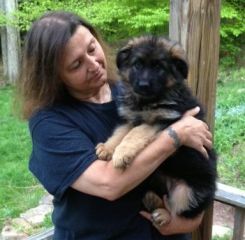 She is doing great! 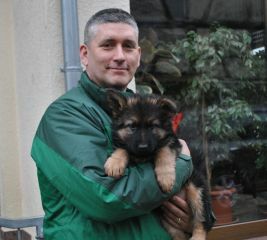 The picture of Yalena will be put in at a later time! 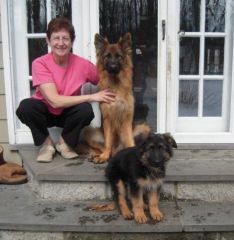 For many years this family was the owner of a Barrett girl out of Queeny and Tabaluga. 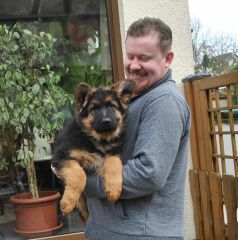 Now for the second time they choosen a Barrett girl again, her name is Xenie. 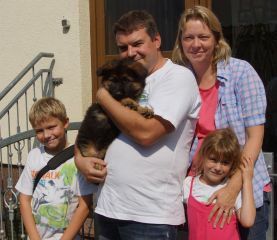 We like to thank this family and everyone for their trust they put into us. 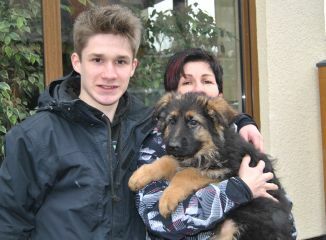 This picture was taken almost 11 years from now with the first House Barrett puppy "Timo" the brother of "Tyson"
Valerie will not be too far from us and hopefully she will join us together with her new family on our dog place! 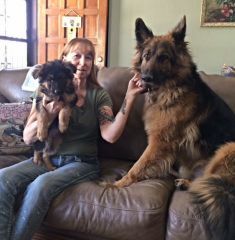 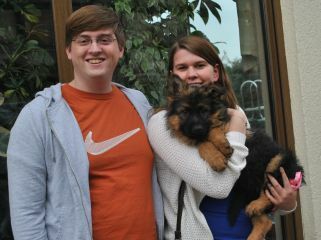 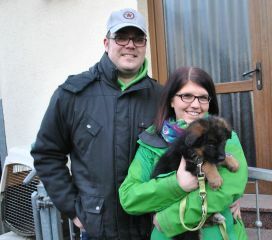 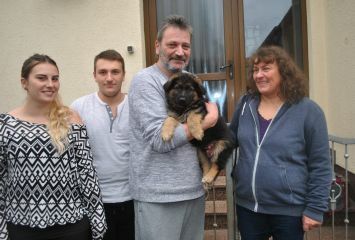 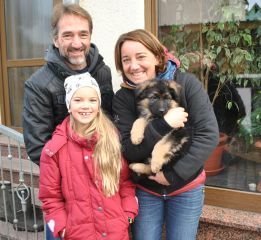 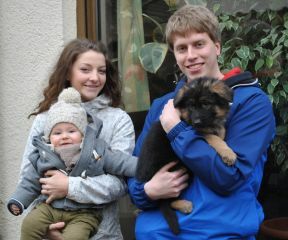 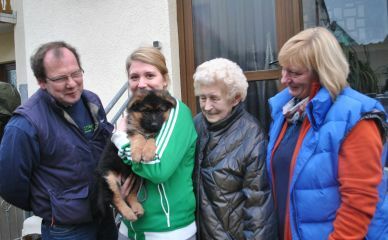 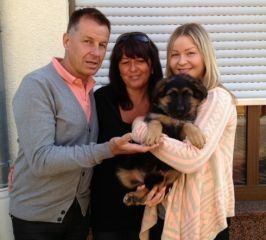 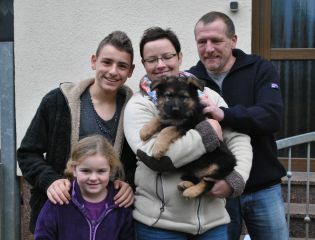 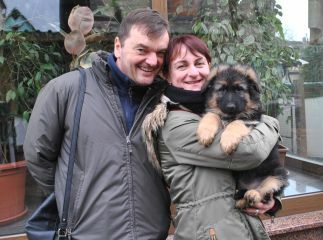 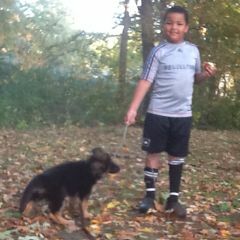 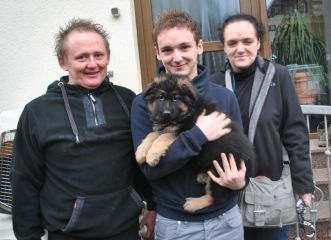 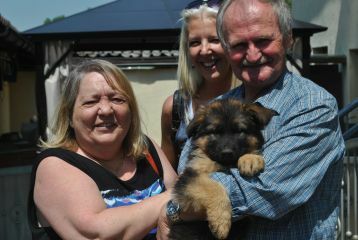 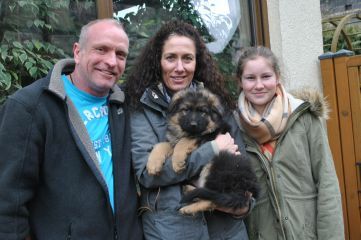 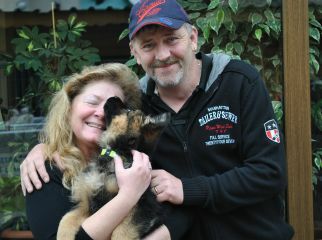 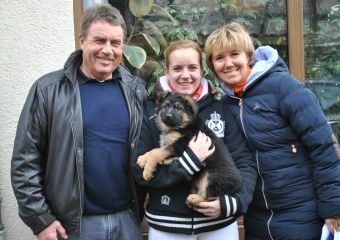 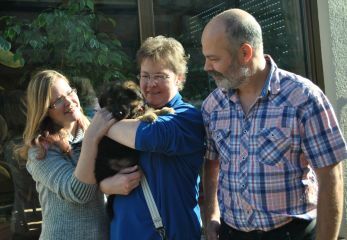 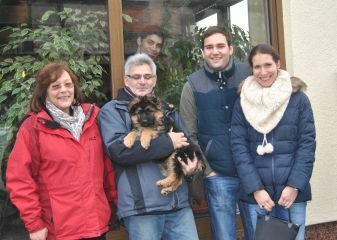 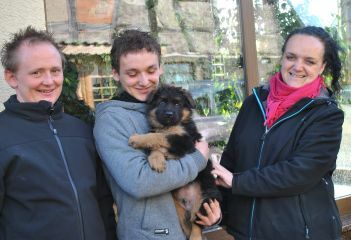 Unico-Carlos with his new family, they waited such a long time for this little boy! 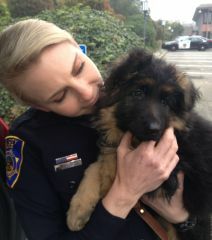 Tabor must feel soooo good! 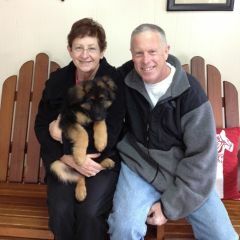 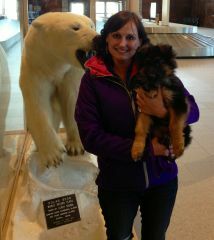 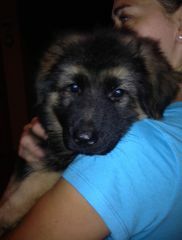 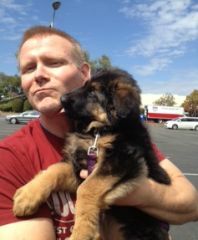 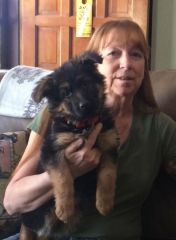 Skyler had to fly to her new home. 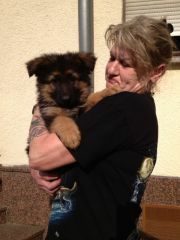 She is doing great! 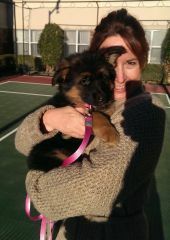 What a happy new "Hundemama"
Note: We do expect puppies again in fall and winter. 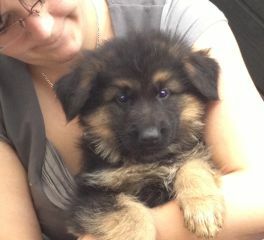 Please keep an eye on our page "upcoming litters". 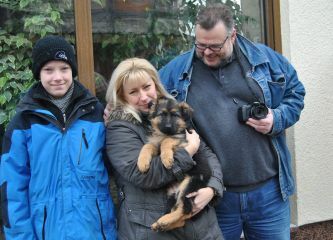 At this time we like to thank the families for being patient. 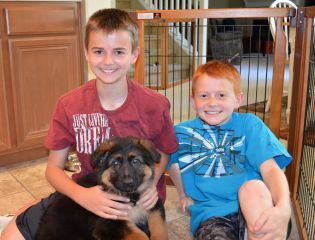 Everyone will receive a puppy. 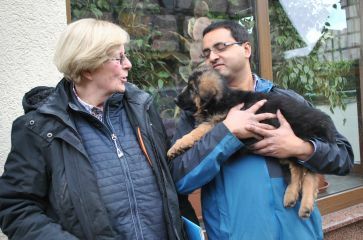 At times the waiting time can be a few months, but we are dealing with nature and we never know how many puppies a dam will have in each litter. 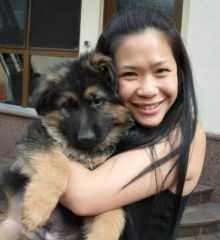 We do recommend to get on the waiting list as soon as a family decided to purchase a puppy from us, because we will not be able to have a puppy right away for everyone. 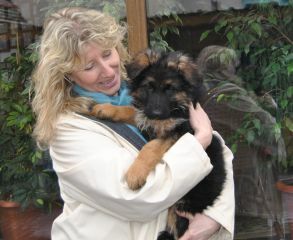 At times a female will not take, other times we only have one male in a litter. 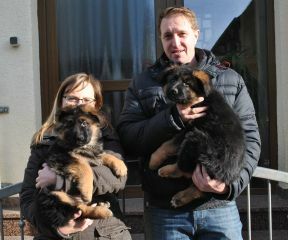 This happened in the recent Romy and Olympia litter. 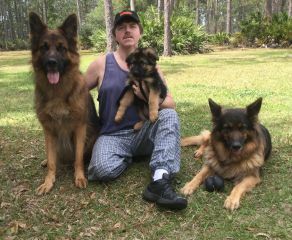 We hope now, that in our next litters a few more males will be born. 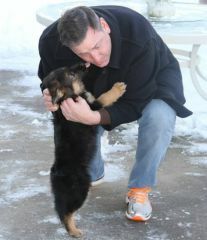 House-Barrett really did not like to let him go. 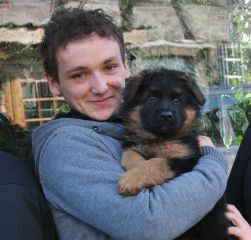 Jason fall in love with him!!!! 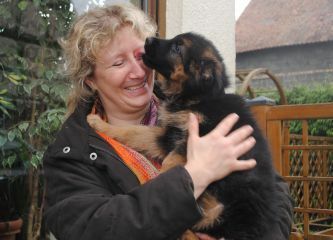 and as you can see his new owner is in love already, after spending just a short time with him. 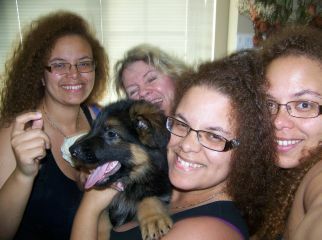 He was and is something special. 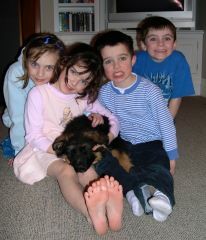 Maybe because he was smaller then his sisters and he did develop a little more slow, this made him so special. 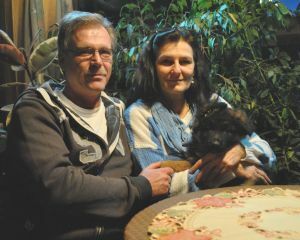 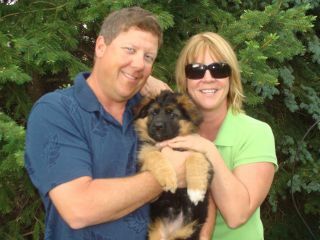 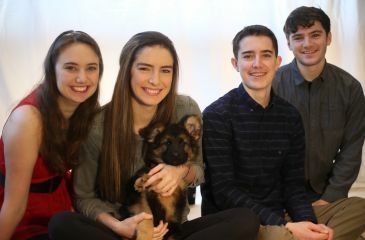 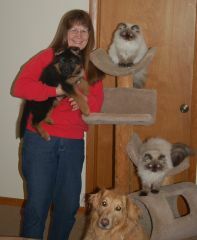 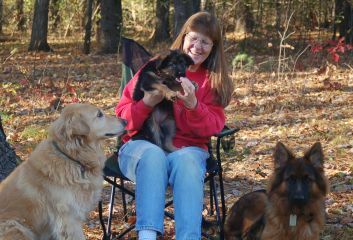 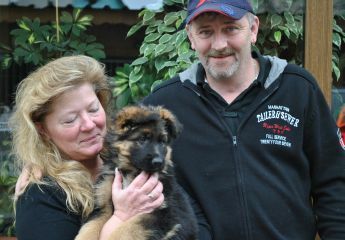 Many years ago this family had purchased a puppy from one of our first litters. 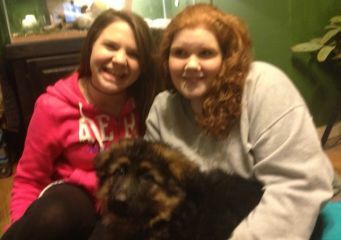 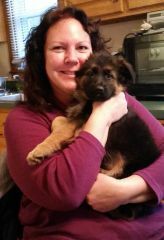 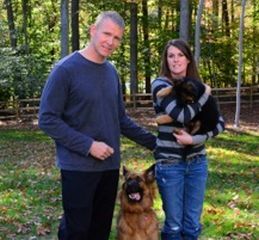 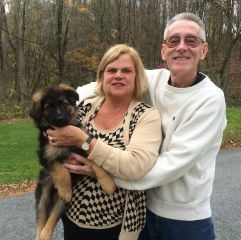 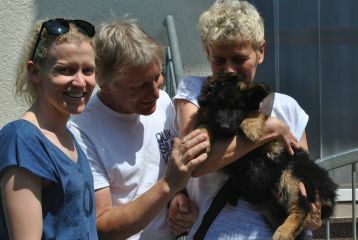 After he had passed, this family was willing to wait several months for another House-Barrett puppy. 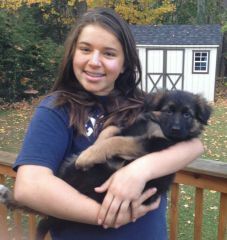 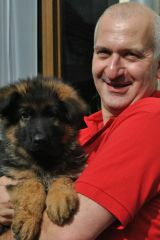 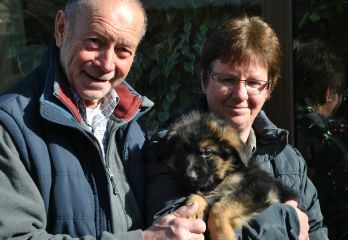 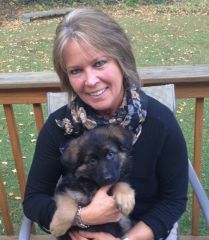 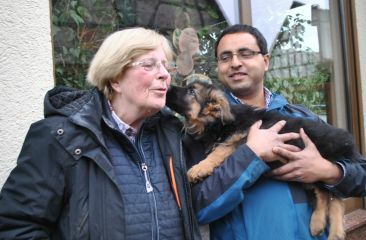 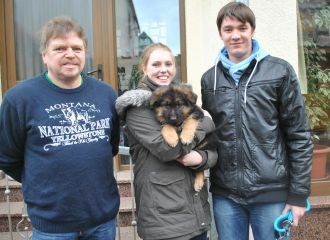 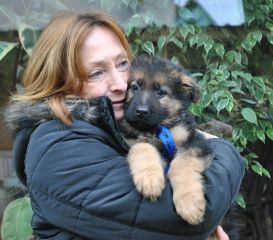 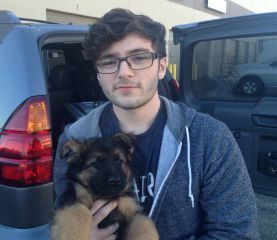 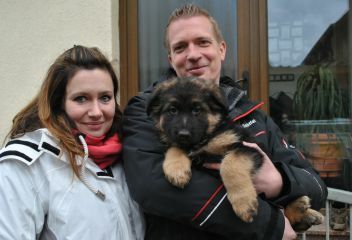 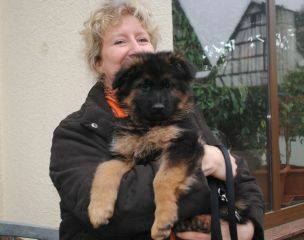 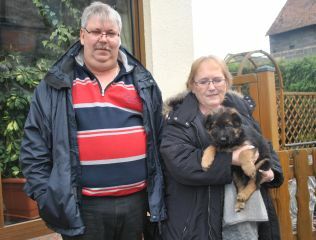 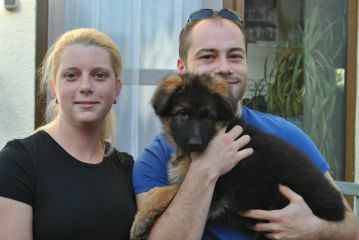 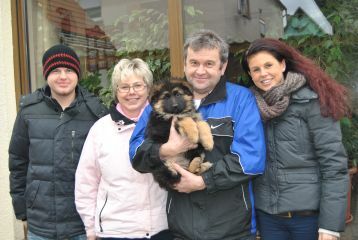 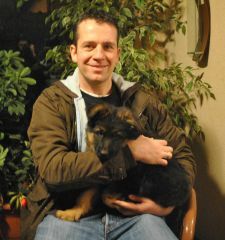 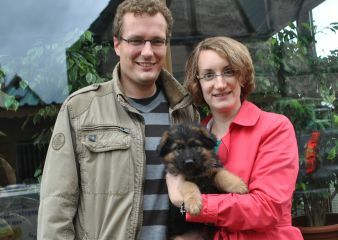 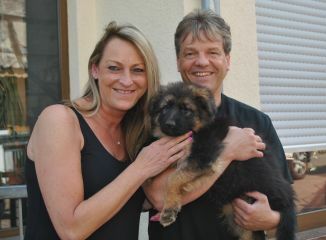 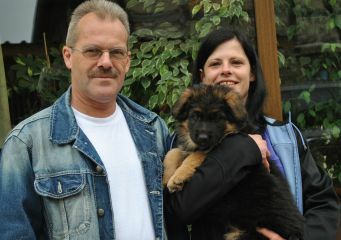 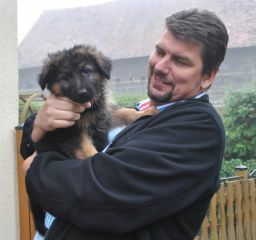 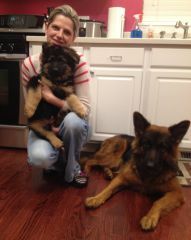 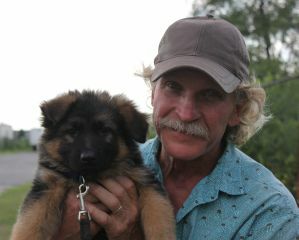 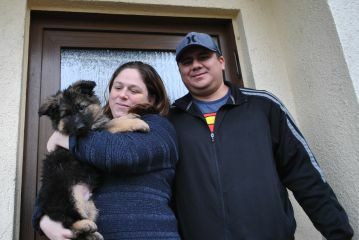 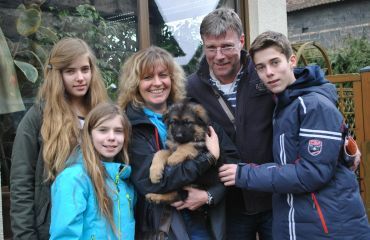 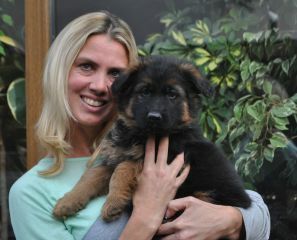 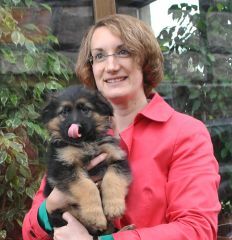 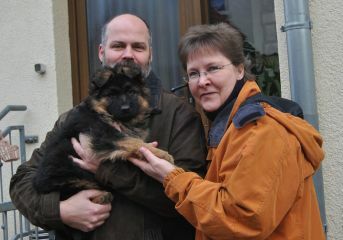 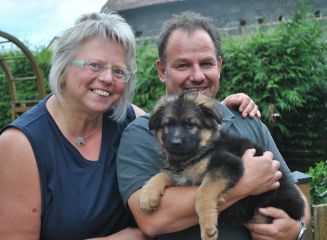 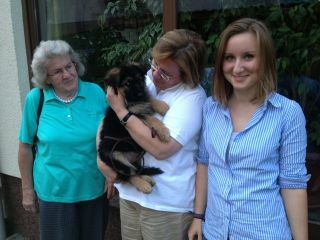 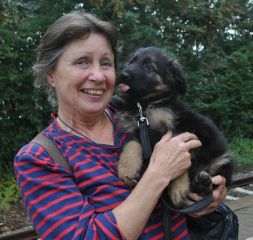 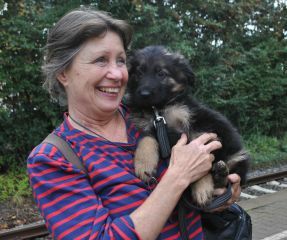 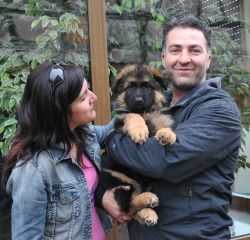 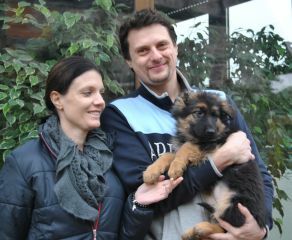 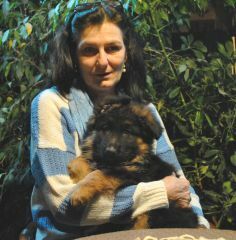 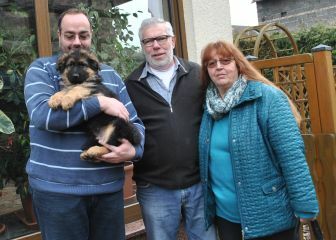 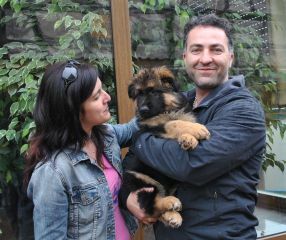 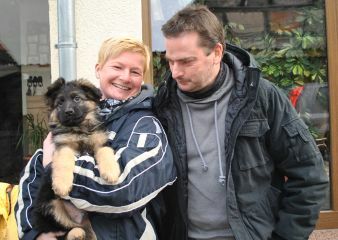 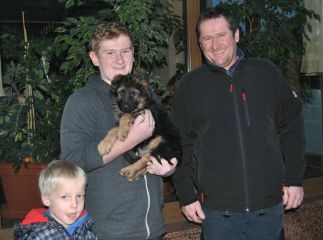 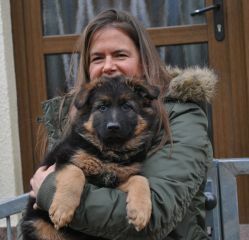 We thank them for their trust and we wish everyone the best for the future and much joy with their new puppy. 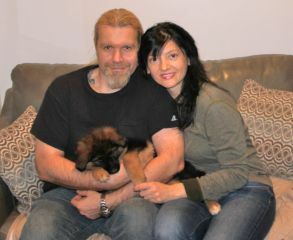 We like to thank all the new House-Barrett owners for the trust they put into us. 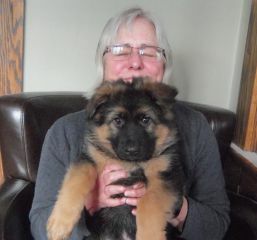 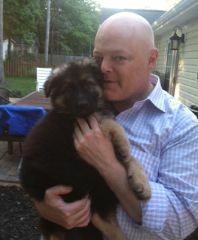 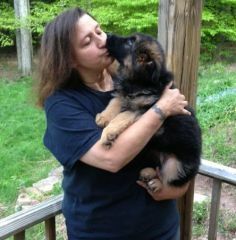 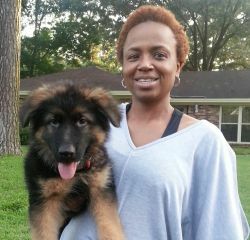 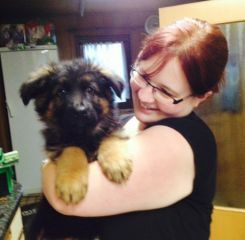 We will keep continue to raise beautiful, well socialized puppies. 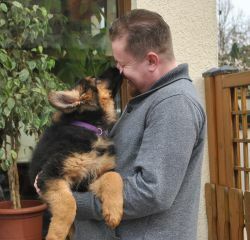 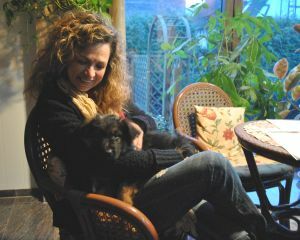 It makes us very happy to see our puppies in lovable and responsible homes!